THE NECF Council has confirmed the appointment of Bro. Eugene Yapp as Secretary-General of NECF, effective 1 April 2013. Eugene had, since January 2013, been the Acting Secretary-General. We are thankful that he will continue to serve in this capacity. Eugene obtained his Bachelor of Laws from the University of London and was a legal practitioner before joining NECF. 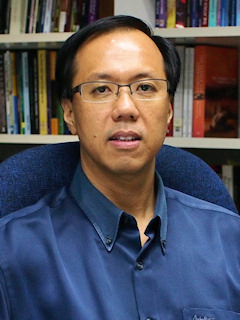 He also holds a Masters in Christian Studies from the Malaysian Bible Seminary and now worships with his family at the City Discipleship Presbyterian Church, Subang. We praise God for this time of smooth transition and we covet your continued prayers and support for our work.